Jeremy Lin #7: Start of an Era! Jeremy Lin Signs with the Golden State Warriors!!! Start of an Era! 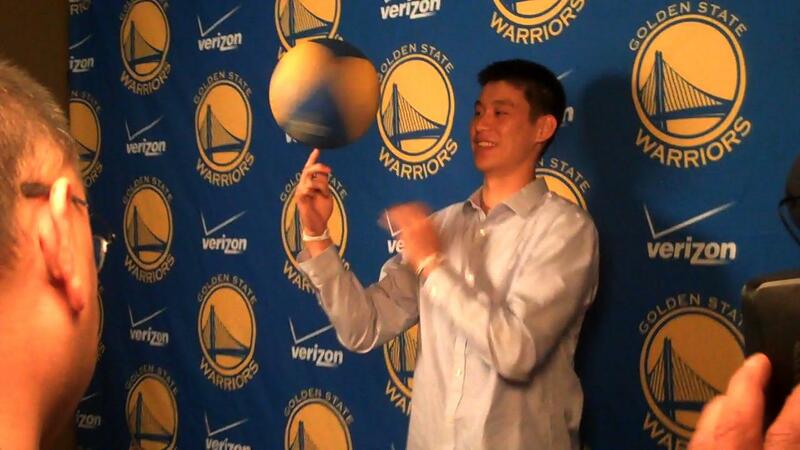 Jeremy Lin Signs with the Golden State Warriors!!! It took 53 years but there is finally another full Asian American on an NBA team! Wat Misaka a 2nd generation Japanese American was the first to play in the league. After leading the University of Utah to the 1944 NCAA and 1947 NIT Championships, the 5'7" point guard was drafted by the New York Knicks and had a short stint in the NBA. Read the Wat Misaka Story to find out more. Now we have Jeremy Lin, a 2nd generation Taiwanese American in the league! I hesitate to say it but I feel Jeremy Lin is akin to a modern day Jackie Robinson, albeit on a much softer scale . He has and will continue to face stereotyping and racial obstacles. However, like Robinson, Lin has the personal character and athletic talent to overcome it all and become a huge success in his sport. Well, don't forget about Rex Walters who's mom was Japanese, so he was part Asian-American. I was talking to my friend's son who used to play against Rex in the Asian leagues and he would just dominate. I've been following Lin's games since he was playing at Harvard. Was fortunate to have attended a few of his games at Lavietes. Now that I'm back in Singapore, I'm glad that he has signed with the warriors and I can catch him on cable Instead of YouTube! I'm happy for Lin, love the NBA and think this is a great story. And it must be noted that I'm a second gen Asian as well. That being said, you can't compare him to Jackie Robinson man. Robinson was arguably the most talented baseball player of his era who overcame discrimination to integrate professional baseball. It's not like racists have been systematically keeping super-talented Asian basketball players out of the NBA. Lin just happens to be the first Asian-American talented enough to earn this roster spot. And for all we know, he might not even make it through the season. I hope he does, but let's be honest -- this is an earn your keep type of contract. Still, undoubtedly even for that he should be commended. Comparing him to Jackie Robinson though? A bit over zealous I'd say. Jeremy Lin, first Chinese American in the NBA! GO JEREMY!!!!! Perfect that NBA 3 pointer! I thought Jeremy is a Chinese decendent though his parents are from Taiwan. There are certain people who like to deny or forget who their ancestor are in Taiwan. I hope Lin is not one of them. Anyway better confirm with him before posting, so you would not confuse people. Thanks!